Our Amarillo dental office was a dream come true for Dr. Pybus that was realized the first day he saw patients in his new building. After many years of planning, this state-of-the-art dental building opened to see patients upon its completion in January 1996. 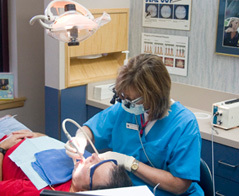 Since then, we’ve been providing the highest quality dental care to patients of all ages. If you’re looking for a dentist near you in Amarillo, TX, contact us today for your appointment or consultation. Every thought in our building's design centers around the most technologically advanced methods of modern dental care. 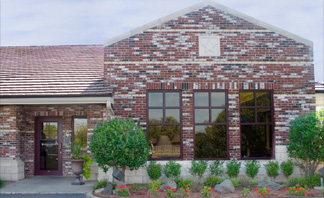 Our goal then and now is to provide patient comfort in a truly beautiful setting. It was important for Dr. Pybus to create an office that was not only ideal for his cosmetic and general dentistry practice, but one in which his patients would enjoy coming to. With this in mind, our dentist put together a team that provides the best treatment for his patients in a comfortable environment. We have a wonderful atmosphere where our patients can relax and become part of our dental family. We understand that modern dental patients are looking for practices that accept their insurance, provide flexible payment options, and utilize efficient technology. Dr. Charles Pybus makes dentistry affordable by accepting CareCredit and loans from Amarillo National Bank. We work with multiple insurance plans. If you have questions about our accepted plans, please call to ask a member of our staff. Our treatment plans are supported by 3D imaging, sedation, and gentle laser technology. Dr. Pybus provides a range of services to ensure your smile is healthy and beautiful. From soft tissue treatments for adults and seniors to cosmetic dental restorations to correct decay and damage, we offer treatment plans to suit your needs. We customize each procedure – only moving forward with care when you are comfortable and informed about options and treatment processes. Your treatment plan at our dental office can include anything from general cleanings and whitening, to smile makeovers and teeth replacement with implants. Our goal is to create a dental experience that ensures patients are confident in their treatment plans and feel comfortable with our team. If you have questions about dental care, insurance, or what we can do to help you, call our Amarillo dental office today for your consultation!